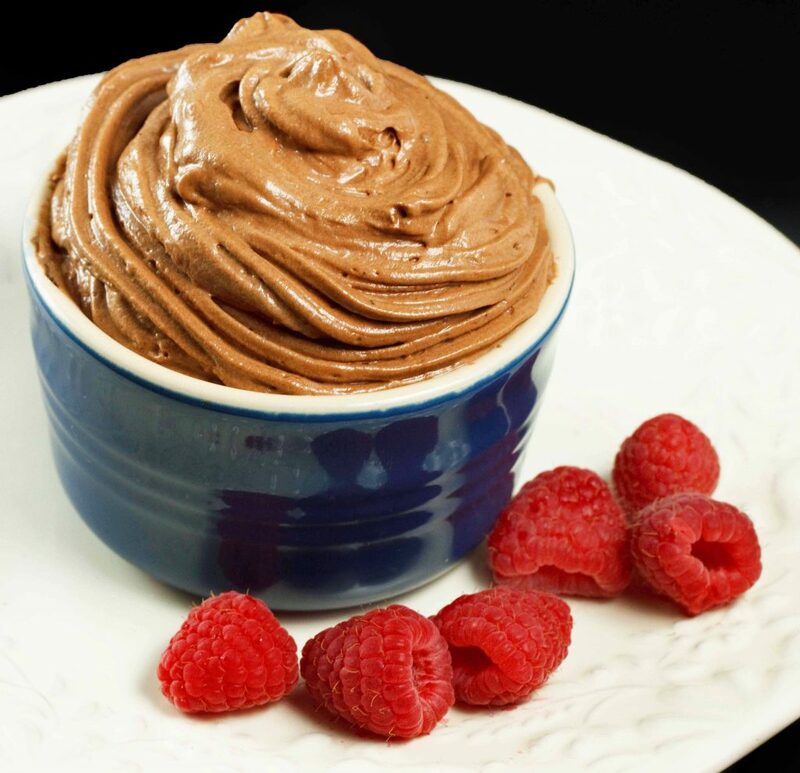 For a truly decadent dessert try my Chocolate Mousse. This is the real deal, a classic chocolate mousse recipe that will rival the best restaurants in France. I can tell you to the day, the first time I tasted chocolate mousse, now I’m talking about real chocolate mousse, not the instant or quick versions that use gelatin to bind them, they may make fine cake fillings, but once you’ve had the real thing, there is no substitute. I had been working for a few days repairing a leaking roof over Mama Jeanette’s long-closed restaurant before I started, she had told me “Sonny boy, ain’t no use fixin that roof, no one ever gonna sit in that dining room again”. It had been an elegant room, one that was now dust covered and disheveled with the occasional bucket placed around the room to catch the rain water. It was only a matter of time before it had been ruined completely and it I just couldn’t bear to let that happen, and although she complained about me wasting my time, I couldn’t help but notice the occasional smile on Mama Jeanette’s face as she watched me work. It felt good to work, to be outside, and to feel useful again, it had been too long since anything I had done mattered, even if it only mattered to me. The next day I finished the roof, and as I climbed down, Mama Jeanette met me at the ladder and told me to get cleaned up for dinner. When I got to my room I found a suit, freshly pressed shirt and tie waiting for me, I didn’t need any more instructions, it was plain to see I was dressing for dinner. As I made my way into the kitchen Mama Jeanette was waiting for me. but what I hadn’t expected was to see her in a chef’s coat and black pants, and as she led me into the dining room I got an even bigger surprise. The room was immaculate, every table set, glasses sparkling, candles lit and music was playing……I was in awe. That night’s lesson would be in tableside cooking, and it was an amazing evening and even more amazing meal. The night was no different from any other night, as we dissected each dish and I repeated the process until Mama Jeanette was satisfied I remembered every detail, and then we’d move on to the next course. This went on until I thought I could eat no more, and finally, she announced that dinner was done and it was time for dessert. I had expected a spectacular flaming dessert, but instead, Mama Jeanette went back into the kitchen and brought two crystal goblets filled with chocolate and topped with whipped cream and garnished with raspberries. As she set the dessert down in front of me, she said “Sonny Boy, if they don’t have Chocolate Mousse in heaven I’m not going” and friends let me tell you, I thought right then and there that I must be heaven, because I had never tasted anything so good in my life. I kept Mama’s recipe locked away in my head and in my heart for years, it was really quite simple, and once you’ve made a sabayon, the rest is easy, and it becomes second nature to you. It’s been years since I even thought of that night or that chocolate mousse, and I was afraid I had missed parts of the recipe, so I turned to my friend Nick Malgieri for help, (he may not know he’s my friend but whenever I need a hand with anything having to do with desserts, I look to him first). It’s funny but once I saw it print, it came back to me just like a light switch had been thrown…….thanks Nick, I know I can always count on you, and thanks Mama Jeanette, because of you everything I cook means something. 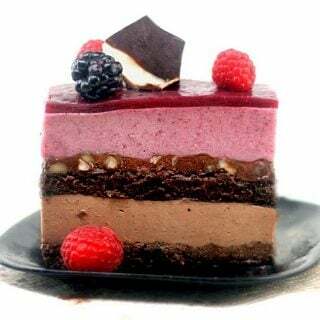 If you love chocolate mousse you might also like my Chocolate Mousse Cake Recipe. Place the chocolate in a stainless steel bowl, over a pot of simmering water, stir with a rubber spatula as the chocolate melts, if the pan starts to get too hot, remove it from the heat. Continue to stir the chocolate until it has melted completely, then remove from the heat. Cut the butter into 8 pieces and mix it into the melted chocolate until it has been completely absorbed by the chocolate. add the egg yolks to the bowl of your mixer and begin to whip them until doubled in size, then begin to slowly pour the sugar in a steady stream into the yolks. Continue to whip for another minute. add the liquid to the egg yolk mixture and place your mixing bowl over a pot of simmering water and whisk the yolk mixture until it becomes very thick. When the egg yolks have thickened, continue to whip in your stand mixer until the mixture has cooled. when the sabayon has cooled, fold it into the chocolate mixture until well blended. Whip the cream in your stand mixer until it holds its shape, then fold it into the chocolate mixture. 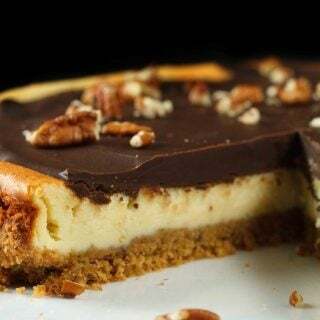 * for an even more intense chocolate flavor, reduce the heavy cream by half, to 1 1/2 cups. 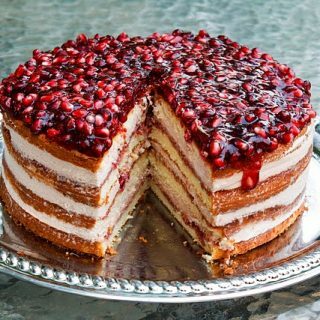 This is an amazing recipie! Can you please tell me which brand of chocolate do you use? Thank you, I use Callebaut chocolate for almost all of my chocolate needs. But any good quality chocolate will work. Thank you Jane! I am so happy you tried my chocolate mousse. In the age of cool whip no one takes the time anymore to make a real chocolate mousse and OMG there is a difference! I’m going to be updating the post with more pictures in the near future and republish it, its one of my older posts that never got the attention it deserved. Hey! I gave this recipe a go and it seems great, silly me added my cream cold though and after this everything seemed to go too stiff with little lumps of chocolate. It still tastes great but is far too stiff, even more after setting in the fridge. Is there any way for me to save the texture a bit? Can I add something to make it less stiff? did you whip the cream Emma? If there are little bits of chocolate you didn’t melt the chocolate enough. The mixture will be very firm after setting and the only way to make it less firm is to add more whipped cream into the recipe. , I was wondering if I have to use Kahlua or liqueur? Can I just use a extra 1/4 cup of black coffee instead? you don’t have to use any liqueur Paula, its just an added flavor enhancement. A little black coffee would work too, but isn’t necessary. Can the liqueur be substituted in this recipe? Amaretto perhaps. it certainly can Wilma, use any liqueur that you enjoy. I made your recipe years ago and loved it! But for the life of me I couldn’t find it again and couldn’t remember what the word for sabayon was (which was a super delicious step). It’s so tasty and thank you so much for sharing the recipe! I’m so glad I found it again 😀 Thank you! Thank you for the great rating Serena, and I’m happy to hear you enjoyed the recipe! Hi again Chef D, Glad you could understand the reply I left using my phone. Thanks for clarifying that this is the french recipe for a mousse. The recipe sounds decadent ! I am going to give this a shot this weekend- I do have one more question… I have read the remarks and your response here- so it wouldn’t be a great idea to make this mousse a day ahead – am I right. Best made on the same day? I am excited- now just need to access ‘fresh’ eggs! Just remember to put the mousse in the serving dishes right after you make it. 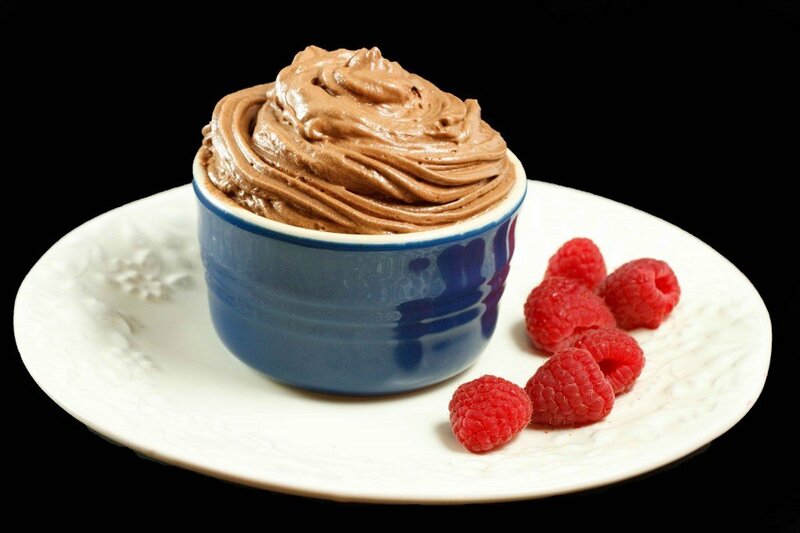 The mousse gets pretty firm and won’t look as nice served after it has set unless you re-whip it. Or you can use a large pastry bag and pipe it into your dishes. A day ahead lets the flavors really build but its amazing right after its made. French chocolate mousse does not use egg whites. This a classical recipe and once you taste it nothing else will compare. I LOVE this recipe. Every time that I make it for my family it is a hit. They beg me to bring this mousse to family events. Thank you chef Dennis! Thank you so much for letting me know you’ve been enjoying the chocolate mousse, it is amazing! 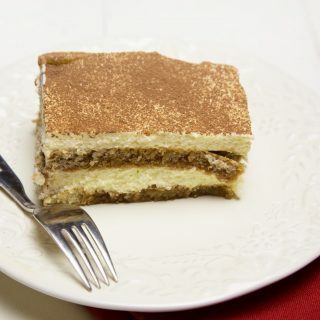 Have you tried my tiramisu yet? This recipe looks wonderful. How far in advance can this be made? I would love to fill my homemade cannoli shells with this for Easter but I need to prepare this in advance. Will that work? you can make it ahead of time and it will hold up, the only issue is it does stiffen up pretty well so using a pastry bag with a nice star tip will have it looking good. It will be amazing in cannoli shells! I made this today for Xmas eve for dinner guests and family. Everyone raved about it. I would say it was some shuffling of pans in the process but it turned out beautifully. I started off with Gerridelli 63% chocolate chips and melted them in the double broiler. I served the finished product in 63% dark cocoa cups (from Walmart) with raspberry sauce drizzled over (see recipe below), a fresh raspberry, and grated Hersey’s dark chocolate slivers. I’d attach a picture if I could. Here is the recipe for the raspberry sauce I made: approx. 3/4-1c. of fresh raspberries,1/4 c. of sugar or less, 4T.Kahlúa Rum or more, 2T. of cornstarch and 1/4-1/2 water. Place in blender on high to mix and grind seeds, then transfer to pan on medium high heat and bring to boil till it starts to thicken slightly. Add more liquid in the form of Rum or water to your liking. Drizzle over recipe and on plate for presentation. I have some Godiva chocolate Liqueur which would probably be great to add next recipe. If you have chocolate lovers this will do the trick, if you don’t, they too will love it. I verify! Chef Dennis’ recipe above made about 9 cups of mousse. Thanks for the feedback Lorena and the raspberry sauce recipe! I need a rockin great chocolate mousse recipe and wondering if this might be it. I tried David Liebovitz version of Julia Childs recipe and was not too impressed, Please me if the kaluah might be the ticket to stellar chocolate mousse, I need to impress some guests. this really is an outrageously delicious mousse, I hope you enjoy it as much as we do! I made this using Irish Cream and decaf coffee. It was amazing! Thank you, Chef Dennis, for sharing this amazing recipe! I always have leftover egg yolks when I make swiss meringue for cake/tart toppings; I think this will be my go-to recipe from now on! I am considering to make a passion fruit mousse (using juice from concentrate), but would I use gelatin as a thickener? How much juice can I use with one envelope of powdered gelatin? I’m haappy to hear that you enjoyed the mousse! As for passion fruit you may have to experiment with the proportions a few times to get it right. The rule of thumb is one tablespoon of gelatin per cup of liquid, and usually the packet is two tablespoons. Ok great, thank you so much! Hi, am interested in giving this receipe a try but have some question. Normally website would say heat the cream and pour it over chocolate to melt it. Can I use this way instead of directly melting just chocolate? And for the Sabayon step 2, Add the liquid. If i’m not planning to add coffee or kahlua, can i miss this step and just thickend the egg yolk by itself? you can change the recipe anyway you like, but I can’t guarantee it will work. The steps laid out are for my recipe, and for it to come out the way it should they need to be followed. Thank you so much! I’ll give melting chocolate by itself a try again. I tried it last time n they burned so I was afraid to heat them directly.. I tried making the chocolate mousse today and something went awry. The chocolate and butter combination seemed fine–glossy, smooth (I thought anyway)–until I added the sabayon. After that, it seemed to get quick thick, almost like a paste. I think it may have seized. I went ahead with the recipe anyway but ran into problems when I added the whipped cream. I ended up having difficulty incorporating the two into a smooth mixture and instead had a lot of little pieces of chocolate. I mixed too much and the whipped cream started weeping. It tastes really good but I’m wondering if you can tell me what I might have done wrong and if there’s anyway to fix it at this point. I used bittersweet Ghiradelli chocolate if that matters. Vanessa, I”m not a trained chef but I just made this and have made a lot of desserts. I can think of some things that went awry by what you commented on. The butter/chocolate mixture weren’t fully integrated before it cooled. It should be a soft, smooth mixture barley holding its shape. 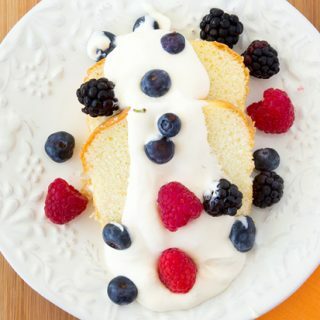 If you added already made whipped cream that may have caused an issue verses adding heavy whipping cream-the ready made may have too much sugar or thickening agents added to it-a chemical problem. The other possible problem could be not mixing the mousse long and fast enough. I have made this recipe with Ghiradelli chocolate chips and had no problems. Better luck next time and don’t give up. Thank you for this easy to follow recipe! I’ve made this twice now and it’s getting better each time. This may sound like a travesty to you, but I want to try adding different flavors. Where I grew up we drink a malted chocolate drink called Milo, and I was trying to think of a way to get that flavor into this. It is sold as a powder. I guess you could dissolve as much as possible in some hot water or milk and then cool it and add it in place of the kahlua/coffee? Or could you incorporate the powder directly into the sabayon just like the sugar? I would think it would need to be pretty concentrated in order to taste it through the chocolate. Hi, this mousse looks delicious. Thanks for this great recipe. I was wondering if i use this to layer a cake, will i need to add gelatin, or will it be good as is? You won’e need gelatin with this Farah, the Chocolate firms the mousse up nicely. Thank you 🙂 cant wait to try it. 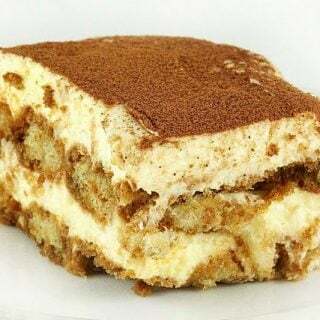 Hi Chef – great dessert after your delicious Braciole. This has to be the best Chocolate Mousse we have ever had. It was very light and wonderfully chocolate. As Chef suggested, I cut back on the cream to give it a decadent chocolate taste. I like the bitter sweet over the semi-sweet. I filled wine glasses half way with the mousse and after it chilled topped it of with some fresh whipped cream – to die for. Thanks for another wonderful recipe. your quite welcome John and I’m so glad you enjoyed the mousse! I love using the mouse as a cake frosting, and it also freezes well and I’ve made chocolate mousse pies out of it cutting it after it was frozen solid, and wrapping slices individually then taking them out as needed. Just wanted to let you know I tried this out for a wedding cake filling and it turned out great! Thank you so much for sharing your stories and recipes. My initial test for this mousse didn’t work out so well, but the 2nd time around came out great. I tried this recipe first with plain semi-sweet chips but that turned out horribly – the chocolate seized up immediately when I tried mixing in the butter. Using high quality chocolate instead definitely made all the difference. Would you have any insight into why semi-sweet chips (50% cacao) seized while the premium bittersweet chocolate (60% cacao) worked fine? I just have a couple questions – after folding the sabayon into the melted chocolate, it just looked… wrong. It was almost like how chocolate looks like if it gets too hot while melting – kind of broken. I almost stopped and gave up at this point but I had come this far so I kept going. I folded in the whipped cream and the end result turned out great. So finally my question – what should it actually look/feel like when folding the sabayon into the chocolate? Or does it not really matter as long as you end up with mousse in the end? Also, is there anything you would do differently if adapting the mousse for a cake filling? Thank you so much Chef Dennis for taking time to answer my questions and also for your wonderful recipe! Happy New Year! As for the consistency, it should look more velvety and even a little glossy but as you can see it didn’t have that much affect on the finished product. For a filling it works wonderfully because the chocolate keeps it firm, you shouldn’t have to do anything else to it. If it were strawberry or another fruit flavor you would have to use gelatin to keep it firm. I’m always happy to help and I’m grateful that you chose my recipes to try! Hi, I need a brand of chocolate that’s good please . Making this for Christmas Eve tonite, I know poor planning on my part does not constitute and emergency , but really there is one. I headed out the door soon to grab the chocolate. Please tell me what kind to purchase. BTW looked at dozens or recipes and settled on yours. High hope abound. At this late stage of the game I would look for Ghirardelli’s it might be your best bet. I usually buy Belgian Chocolate, but I don’t know what is available for you. Hi, I need a brand of chocolate thats good please . Making this for Christmas Eve tonitht, I know poor planning on my part does not constitute and emergency , but really there is one. I headed out the door soon to grab the chocolate. Please tell me what kind to purchase. BTW looked at dozens or recipes and settled on yours. High hope abound. Im entertaining tonight 20 people. it can be doubled it will just be a little difficult to mix together with that big of a batch. You want to be able to fold the whipped cream in without deflating it.